The UK marketplace has huge buying power and excellent digital infrastructure. If you want to convince a shopper to click the ‘buy now’ button, your chances of success are quite high with the British. The goal of this section is to equip you with extensive knowledge about ecommerce in the UK. We’re constantly collecting relevant online sales facts, figures and trends for the UK ecommerce market, including advice from our cross-border trade experts. Selling or thinking of selling online in the UK? Our articles and comprehensive reports will help you get it right. You will learn about online buyer behavior, delivery & shipping, payment methods, mobile commerce and much more. What can online sellers expect when Brexit shakes the ecommerce world? 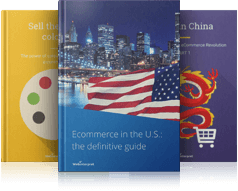 Why is the United Kingdom a top marketplace and an ecommerce success story? What does the British government say about removing VAT?